Many financial experts have remarked on the tendency of Forex markets to be far more prone to trends than any other financial market in the world; with only eight Forex major currencies (and major currency pairs in terms of Forex markets), it should come as no surprise that macroeconomic factors and trends play such an important part in all this. The reason why Forex markets are easy to get around is the fact that there are few major currencies; the reason why Forex markets are so popular is that there are also minor currency pairs at play, but those are off point at this time. The major pairs are: British pound/US dollar, US dollar/Swiss franc, US dollar/Japanese yen, euro/US dollar, Australian dollar/US dollar, New Zealand dollar/US dollar and US dollar/Canadian dollar. The currency pairs can be traded by any reliable and transparent broker, for instance by the award winning HotForex trader. Every single currency in those major pairs is there for a reason. 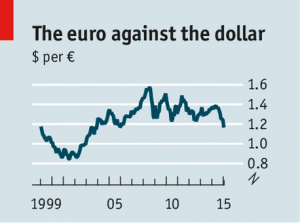 Euros, US dollars and Japanese yen are backed by some of the strongest economies in the world. Swiss neutrality and huge banking sector got the franc on the table – in fact, many Forex traders still turn to Swiss francs in times of financial turmoil. British pound is currently one of the strongest currencies in the world in terms of value. Furthermore, many financial experts point out the traditional role that British pound has played in the history of financial markets, so its laurels may still hold, for a time. Unlike major currencies, who are there because of economies of countries that back them, other currencies are there because of their strong ties to commodities. New Zealand dollars (the kiwis, as they are sometimes referred to) are there because of their country’s agricultural products, some of which are in great demand. Canadian dollar, “the Loonie”, is there because of its relation to crude oil and the fact that many Forex traders use it as a hedging tool. The “Aussie” is related to Australian economy as well as gold and silver. Chinese yuan, Russian ruble, Mexican peso, South African rand, Indian rupee, Brazilian real and many others are very much present in the Forex markets, but still did not qualify for major currencies titles. The criteria seem a bit vague, as the size and strength of an economy would not pose a problem for many of them. Trade volume is the biggest issue but that may be addressed easily. Being related to commodities is also a factor most of them would fulfill. The same goes for safety and tradition. The most commonly cited reason is the lack of all of these factors coupled with the sheer lack of trading volume for most of those currencies. Euro, Japanese yen, Swiss franc, British pound and US, Canadian, Australian and New Zealand dollars are the major currencies in Forex markets. It might behoove any budding Forex trader to get acquainted with those currencies and economies behind them; their livelihood may depend on it.